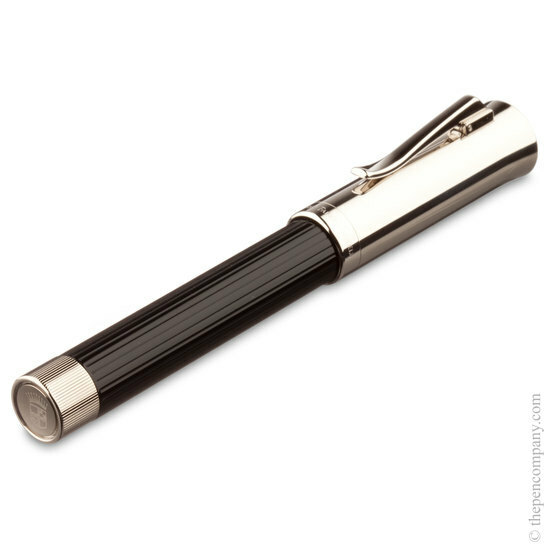 Graf von Faber-Castell's Intuition Platino range combines glossy black fluted barrels with platinum-plated accents to create a refined and timeless aesthetic. The textured fluting on the barrel is subtle and creates a pleasurable and tactile writing experience, ending with a gently curved grip. 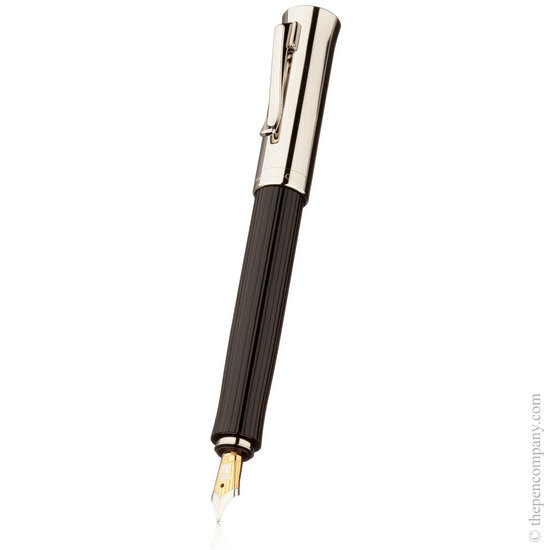 The barrel runs the full length of the pen without interruption. The platinum-plated accents contrasts nicely with the body and the barrel end uses a light-catching textured finish, featuring the emblematic family coat of arms. The range uses articulated spring-loaded clips, which are both elegant and solid in construction. 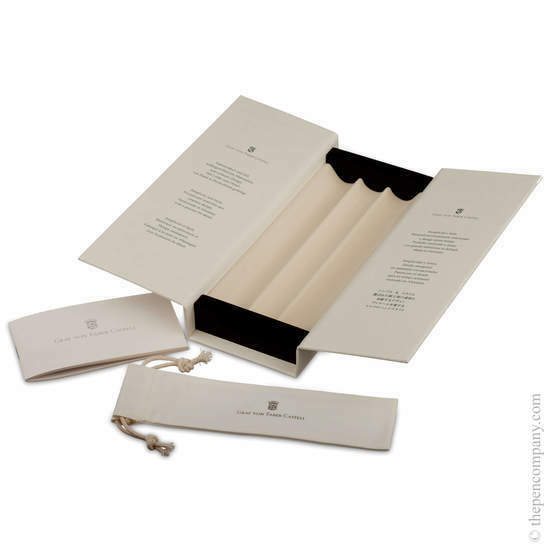 The pens are delivered in a solid wooden presentation box.